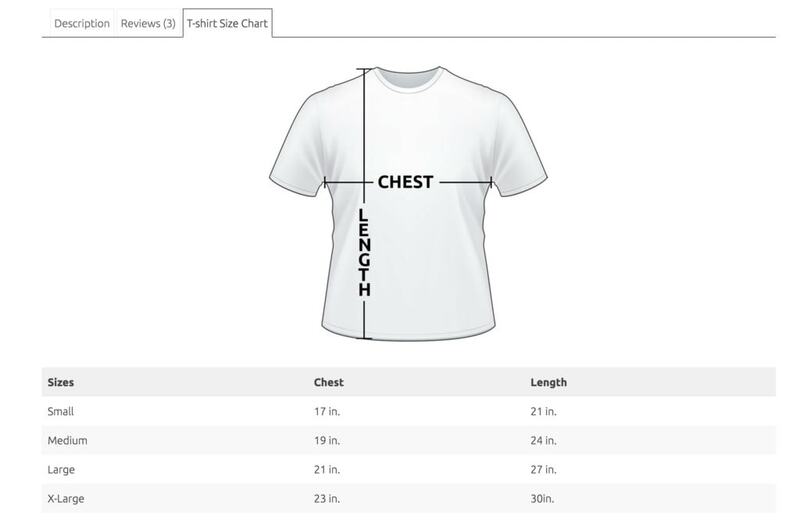 With this added plugin as part of the Kadence Membership, you can add size charts to any product or select a whole category of products to add to. 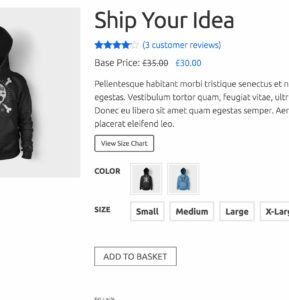 You can enable this either as a button in your content that opens a modal or as a tab that you can add into your Woocommerce tabs. First, install the Kadence Woo Extras plugin and go into the “Woo Extras” menu in the bottom left corner of your screen. 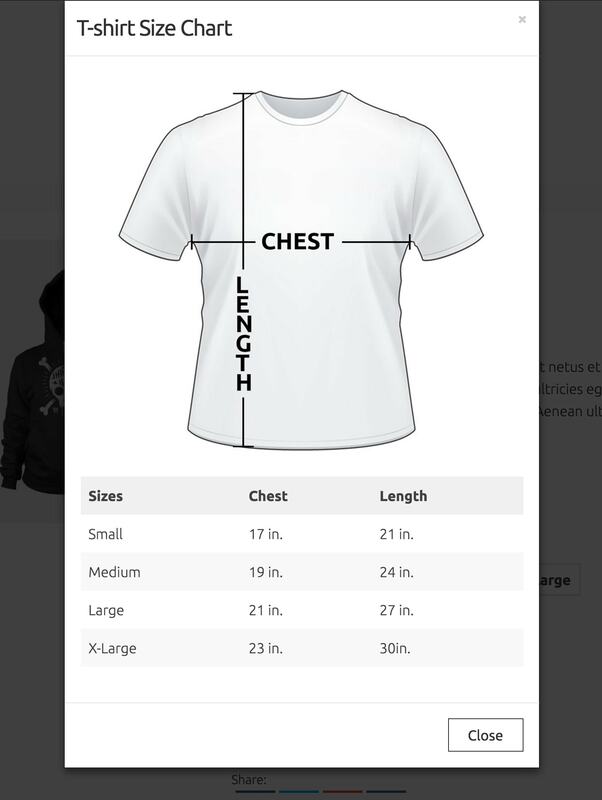 There you can click on “Size chart” and enable them for your site. 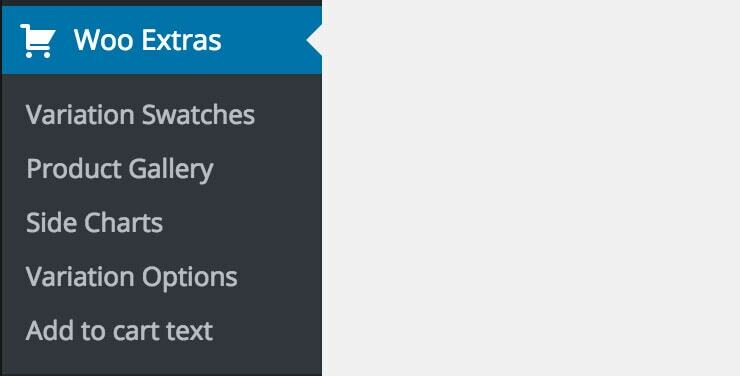 Once enabled reload the page and you will see a new menu in your admin menu for “size charts”. Next you can click on the “Size Chart” then “add new”. 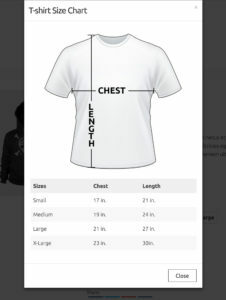 The title will be your size chart title so you can add something like “t-shirt size chart”. 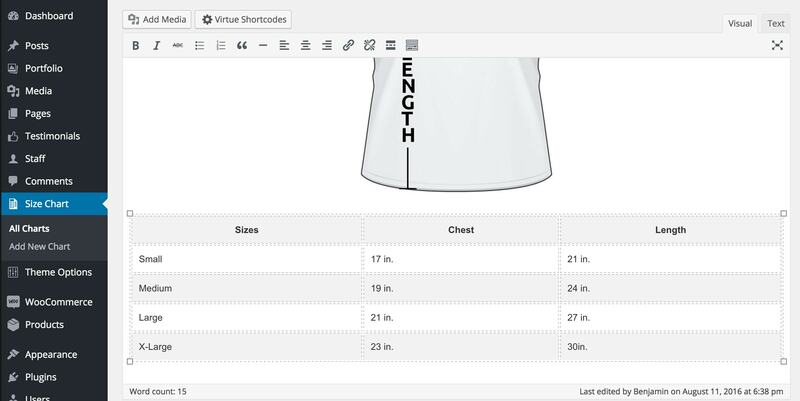 In your size chart content, you can add an image or a size chart table. Or both. For a table simply click “virtue shortcodes” and in the popup click on the table option. Below the content area, you have settings for enabling the size chart. 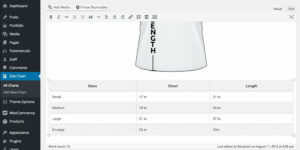 Your first setting is placement and you can set how you want the size chart to appear on the product page. The first five options would let you choose to place a button that would appear on the product page. That button would lead to a modal holding your size chart content. 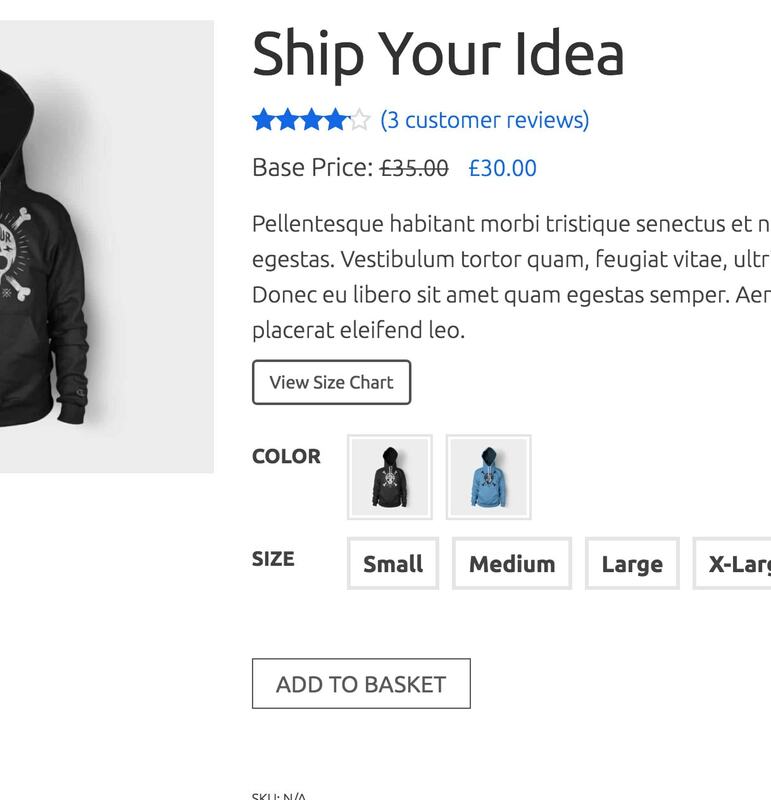 The last option in placement is to place as a tab on your product page. 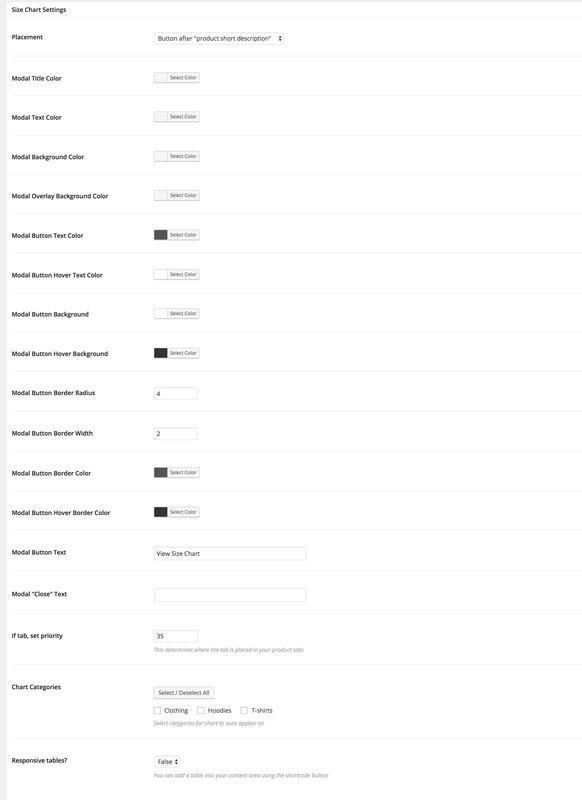 Below your placement options, you can set the colors for the modal and modal buttons (if using). You can also set the tab priority (if using). 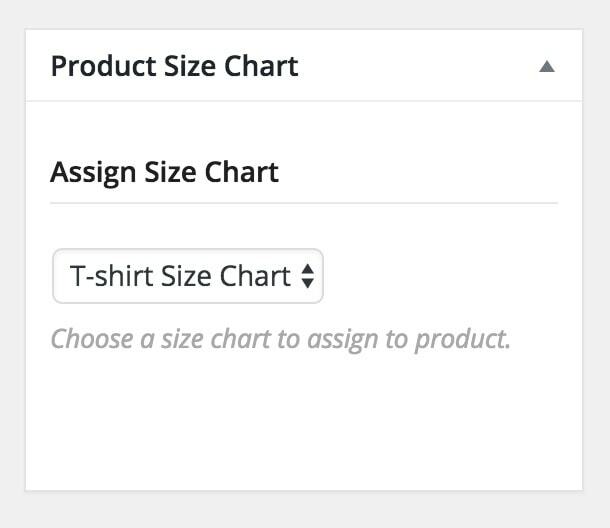 Near the bottom, you have an option to assign this size chart to show for a whole category of products on your site. 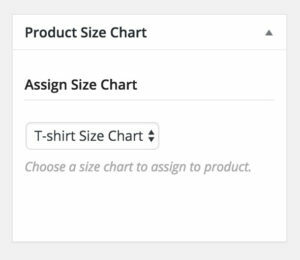 But if you want to just assign to one or few you can leave that blank and in each product individually assign a size chart.